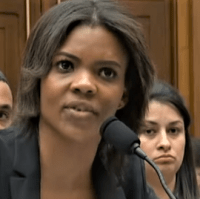 (Beth Baumann – Townhall) Prager University’s Candace Owens appeared in front of the House Judiciary Committee on Tuesday to testify about white nationalism in America. In typical liberal fashion, Democrats on the Committee attempted to spin Owens’ previous words explaining nationalism. Rep. Ted Lieu (D-CA) decided to play a 30 second clip of of Owens’ video of her explaining how she feels about national. Owens never condoned what Hitler did. She explained what nationalism actually is. Owens said what most Americans feel: there is absolutely nothing wrong with being a nationalist. You can be patriotic, love the nation you live in and want it to prosper without causing harm to others.